Perfect for your healthy cooking and to use as natural protein supplements. Roti Booster is natural product to supplement healthier compnent into our traditional healthier Indian Rotis (Chapati). 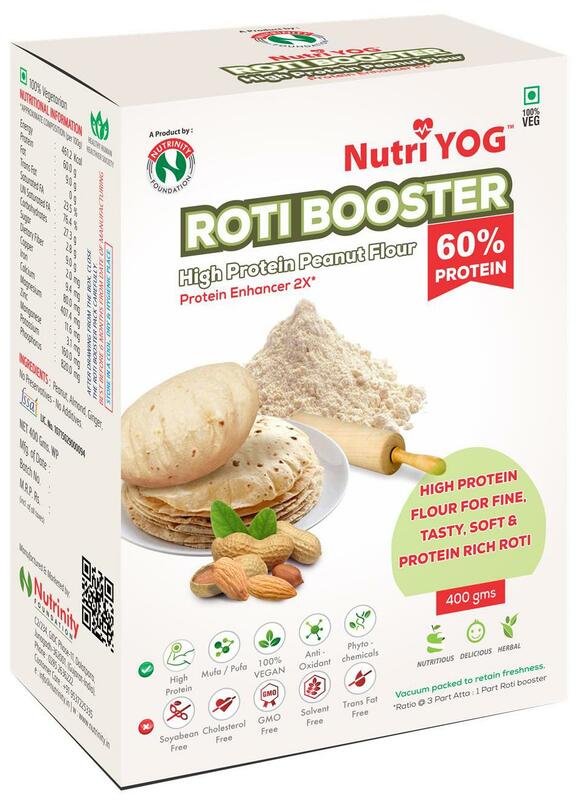 Roti Booster is a rich source of good quality plant protein and other phytochemical nutrients. It is also excellent source of vitamin (Biotin, Niacin, Folate, Thiamin ) and minerals ( Copper, Phosphorus, Magnesium, Manganese ). Just addition of only a small amount of this high protein flour in your daily diet. can provide amny benefits to your health and well being . It is ideal and pleasent way to meet daily requirement of protein ; which is generally low in vegetarian diet.It is higjly required and recommended for people living more active lifestyle, energetic, sporty youth, kids, pregnant & lactating womwn nd elderly persons.